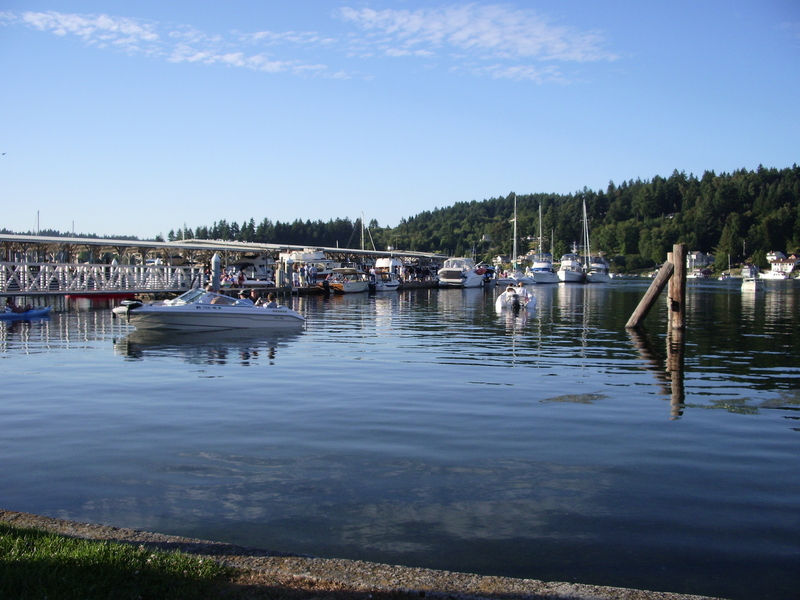 Every Tuesday evening during the summer our small town puts on a free concert at the downtown waterfront park. The music variety includes rock, pop, country, Caribbean, and 50’s dance tunes. Last night was swing music, big band style. Not in my top 10 list of favorite music but it is fun to pack a picnic dinner, pull up a blanket and listen while the boys run around the park. View from the grass out into the harbor. Note the non kid friendly drop off into the water. We ate our dinner while listening to Chattanooga Choo Choo and then the boys got up to mill around the grassy area with the other kids. Cody made a collection of feathers, carefully stored in a Ziploc baggie to be brought home in the backpack. Carter found a group of older kids and got involved in a game of chase with them. I watched our three-year old out there running around with the big kids then he suddenly veered off and ran straight towards the porta-potty. Carter in motion. Note the dreaded blue Porta-potty lurking in the distance. Foreshadowing for the events of the evening. Now I don’t know about you, but I have a rather healthy loathing of all things resembling public bathrooms. Porta-potties rank right up there with raw chicken and hobo spiders in my list of things I deem disgusting and to be avoided. Maybe even at the top of the list. But he is potty training and any initiation on his part to “go” should be encouraged. I throw on my flip-flops and sprint towards the now closed door, my son inside. I open the door and ask him if he has to go pee. No, he tells me, he is playing hide and seek. Ugh. Then he reaches into the urinal, fully planning on picking up the urinal cake (who though that name was appropriate for such a thing anyway?). I intervene in the nick of time, we get the heck out of there and use an antibacterial wipe I have stashed in my purse for just such an occasion. 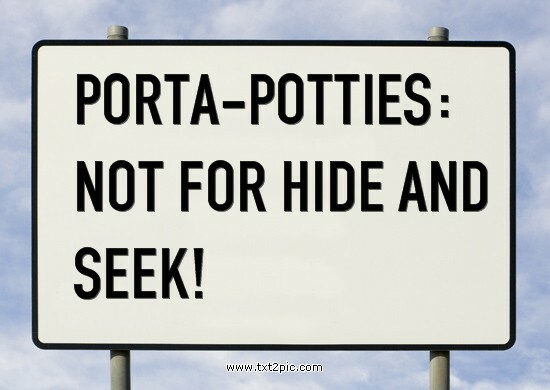 I explain that Porta-potties are not used for hide and seek and send him on his way. Sigh, such is the way of my life right now. Pretty glamorous stuff right there, don’t you think? 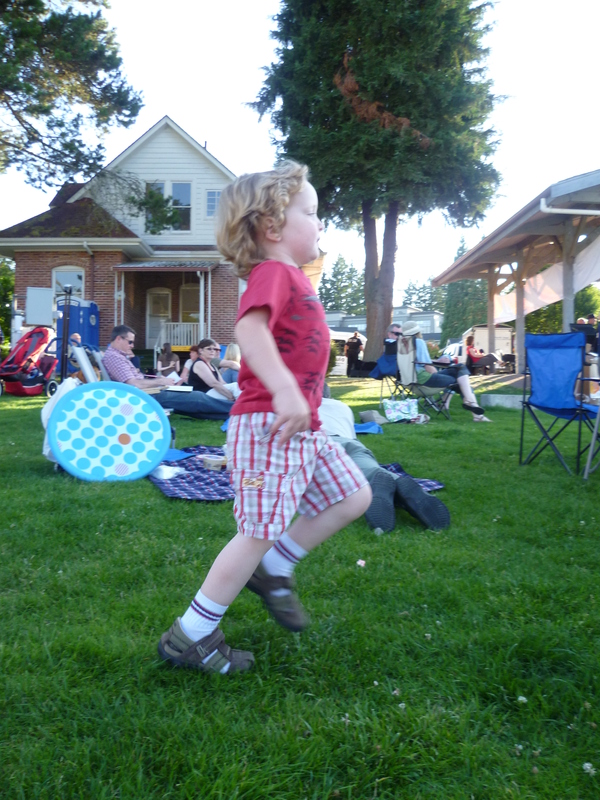 This entry was posted in Little Feet, The Great Outdoors and tagged Big band, Chattanooga Choo Choo, porta-potty, potty training. Bookmark the permalink.